Just wanted to say Happy Thanksgiving to all our subscribers. Have a safe and happy holiday. As a personal preference, Ali has always been concerned about the decoupling of the reducer function being in a separate place instead of inside of the action. Especially when he finds the switch statement within the reducer aesthetically disturbing. The solution to both of his problems is presented in this article. To better understand the Applitools Storybook SDK for Angular, we will be building a small Angular application from scratch, adding some Storybook stories, and then finally performing visual regression testing using the Applitools SDK to generate snapshots for us to view and analyze. Angular 7 has just arrived. In this post, a dev gives a step-by-step guide to creating an Angular 7 app using ASP.NET Core SPA templates in Visual Studio 2017. Want to win $50 by answering a 12 question survey on Angular, Web and Mobile? We want to learn more how you are/want to developing apps for mobile and web. We will use this info to make NativeScript even more awesome. Tell us what you think by answering our quick 12 question survey and we’ll enter you in a random drawing for one of 3 $50 Amazon gift vouchers. The drawing will take place Nov 20th and we will contact the winners by email. Angular Flex Layout is designed to provide a comprehensive layout design using CSS Flexbox and Media Query. Unlike most other libraries, it doesn’t use CSS Classes but rather uses directives. It also makes it easy to manipulate DOM. On top of that, you can inject it into the component class, if you wanted to change code behavior based on the device width. Everyone talks about the huge possibilities of digital learning but is not so mindful about its biggest pain point, developing an efficient digital platform. 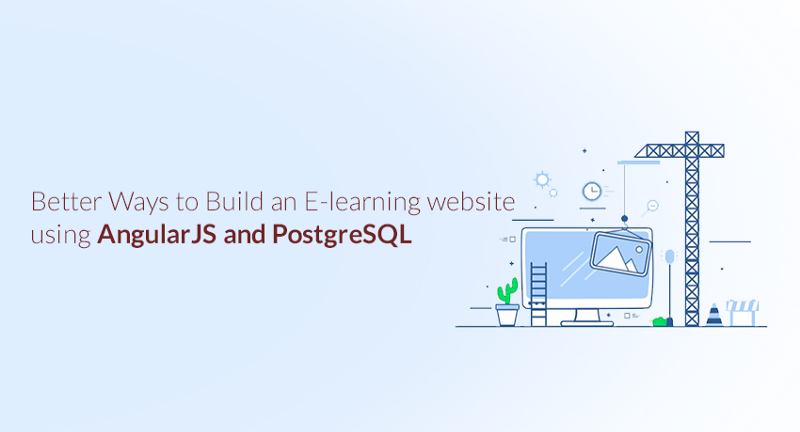 However, with the recently rising urge towards e-learning business, we now have access to an abundance of front-end and back-end development technologies and tools that facilitates our efforts to create efficient e-learning platforms. Senior Dev Consultant Laurie Atkinson demonstrates how to turn features on and off via configuration or from a database. This may include hiding and disabling UI elements, changing code flow, or preventing routing to components.